Secure remote support across the Internet from your web browser using Netop Remote Control version 12. 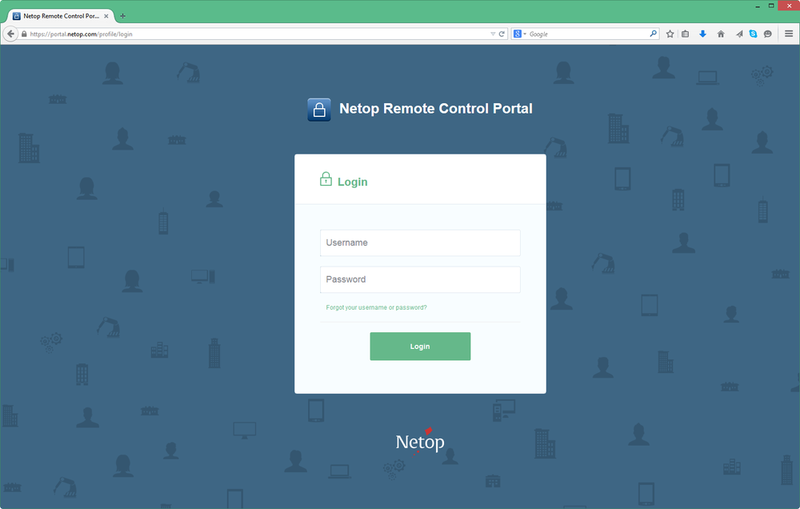 The Netop Remote Control Portal is a central online hub for providing access and remote support to your remote systems on any network. The Portal includes Netop's browser-based support console for lightweight, go-anywhere remote support and fast collaboration without the need to install any software. It only takes a few clicks to create your portal account, download an agent on a target device and start using Netop Remote Control. Click the button below to begin your free trial.